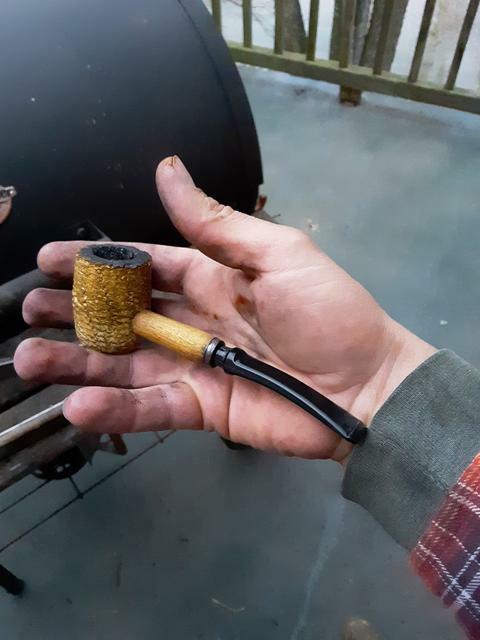 Burley Flake #4 in a Cob. Budweiser Long neck on the side. Congrats @Johnny on your accomplishment. I bet you look and feel different nowadays. It got all that Lakeland essence. Have you had any? Those went from King Cake to Ressurected... (crappy Mardi Gras joke I presume). Great work Alex. GLP Triple Play in the 5 y.o. cob while cooking some back strap, potatoes, and corn on the coals my dad. I washed it down with a few too many Killian's. My old man can make you lose track of time (and brew count).